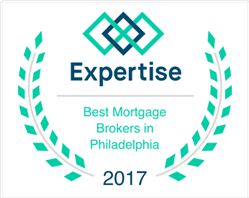 Award winning mortgage company and VA specialist in New Jersey, NY, Pennsylvania, Delaware, Maryland, Colorado and Florida. 2018 Best in Broker Award! 7th Level Mortgage, LLC is a trusted provider of mortgage loans, home loans, refinance mortgages, Jumbo loans, FHA Mortgage, VA Mortgage, HARP loans, First Time Home Buyers, Commercial and Business loans as well as Reverse Mortgage loans. Get mortgage rates for refinancing, buying a home or business purposes in any of the following locations, New Jersey, NY, Pennsylvania, Delaware, Maryland, Colorado and Florida. If you're looking for a mortgage or financing to buy a home, refinance your existing home or start a business, whether you're a first time home buyer, simply looking to refinance or you are looking to finance your startup or existing business, talk with a 7th Level Mortgage expert about your loan options and what financing package makes sense for you. We are confident you will find everything you need when choosing 7th Level Mortgage. You have taken the first and most important step in your search for sound financial information. It is our mission to provide each of our clients great service, pricing they can afford, and sound financial advice. Obtaining a mortgage loan is one of the most significant decisions you will ever make, and it is important that you have an experienced advisor to help you every step of the way. Contact one of our home loan experts, and we'll show you how simple it is to obtain a mortgage loan in New Jersey, Pennsylvania, Delaware, Maryland, Colorado and Florida. Shopping for your dream home can be a wonderful experience as you make the connection with the right space and a neighborhood that fits your needs. Working with the right mortgage broker, you can have the financing in place that will allow you to make the purchase process that much smoother! In a seller’s market, you need every advantage you can get. Our experienced staff can assist you in finding the right financing option to fit your mortgage needs. 7th Level Mortgage, LLC is a trusted provider of mortgage loans, refinances, Jumbo loans, FHA or VA mortgages, and so much more! Our mortgage broker company gives you multiple financing choices based on your unique circumstances. For instance, our staff can walk a veteran through the VA loan program or help a first-time homebuyer understand the benefits of an FHA loan. No matter where you are in life, be it your first home or the one you are downsizing into, our team is ready to find the best financing option for you. Any potential homebuyer enjoys looking at homes and imagining their lives or where they would put the furniture, but without an understanding of how much you are approved for, then you can be setting yourself up for disappointment. Working with a mortgage broker, you can lock in your interest rate, as well as obtain a pre-approval, which will make your offers stronger, particularly in a multiple offer situation. Do not lose your dream home because you are still trying to determine your financing options. It is our mission to provide our clients with a quality experience by providing sound financial advice and possibilities that fit your budget. As a mortgage broker, we can also assist you finding the best interest rate, assisting you in understanding how much you are going to pay from month to month before you make an offer. Our mortgage broker representatives can also assist you in finding the right commercial or business loan for your real estate purchase. If you are investing in a commercial space or a multifamily property, our knowledgeable staff will help you to understand the pros and cons of all your financial options. Therefore, you can make an informed decision, as our quality team goes to work to answer any questions you might have. Build a real estate investment portfolio with a team that can help you find the financing to reach your investment goals! As a New Jersey-based mortgage broker, we also provide financing options for clients in Pennsylvania, Delaware or Florida. With 25 top lenders in our network, we can shop for you and deliver programs that other lenders do not offer. Our network includes mortgage lenders both locally and nationwide. The power that comes with being a premier mortgage broker means that we can put it to work for you. Contact one of our reps today to discuss your needs and determine your financial options! Award winning mortgage lender and VA specialist in New Jersey, Pennsylvania, Delaware, NY, Maryland and Florida. 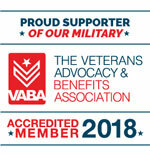 Your VA Home Loan Benefits in NJ, PA, DE, MD, and FL! At 7th Level Mortgage, our VA home loan specialists will walk you through the process and help you to take advantage of the VA home loan benefits for New Jersey, Pennsylvania, Delaware, Maryland, and Florida. Our representatives will guide you through the process and help you determine your VA home eligibility. Or if you prefer, you can use our VA home loan calculator in order to get a VA loan today. 7th Level Mortgage offers members of the armed forces both active and prior service a full range of VA home loans in NJ, PA, DE,and FL. For more detailed information regarding your VA Home loan eligibility, link here to read more. Over the past year 7th Level Mortgage has helped numerous families Purchase their dream home with a VA Home loan in 5 states (NJ, PA, DE, MD, and FL). 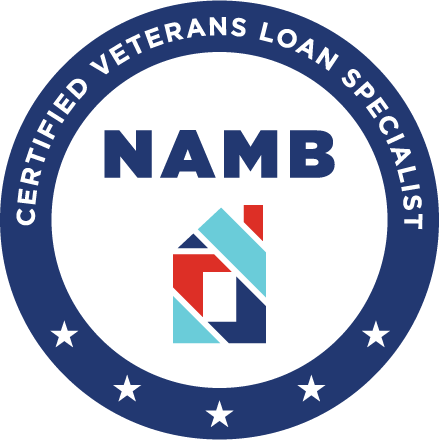 We also we are to determine that a lot of veterans qualified for a VA home loan refinance, which effectively saved them thousands of dollars every year because of the lower rates that are typically associated with a VA home loan. If you are looking buy or refinance a VA home, and have prior military service, call 7th Level Mortgage today to determine your VA home loan eligibility. Once we have determined you are eligible for a VA home loan, the next step is to begin the VA Home Loan application process. Contact one of our reps today! Licensed Mortgage Broker New York State Banking Department.